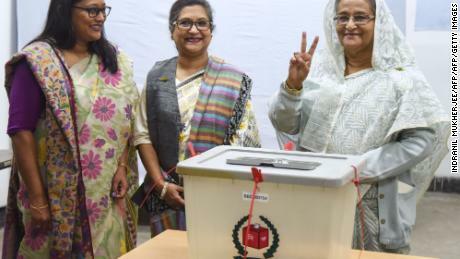 The Bangladeshi voted whether to grant Prime Minister Sheikh Hasina a campaign time for the third consecutive time that was denounced by her government's human rights abuses. The military has been used across the country to prevent the violence recent polls, which were clouded by low turnout and boycotted by the main opposition group and its allies. On Sunday, nine people were killed in the Chittagong Division alone, police said. The Bangladesh Awami League, led by 71-year-old Hasina, has been in power since 2009 and won the last elections in January 2014 by a resounding majority in the midst of a boycott. Since then, Hasina has been accused of authority and harassment of the media and opposition, despite her strong economic growth. Human rights groups and oppositionists had warned that Sunday's elections could be manipulated despite promises of transparency by the authorities. Salil Tripathi, a London-based journalist and author of "The Colonel Who Would Not Repent: The War in Bangladesh and Its Troubled Legacy," said the government has issued visas to election observer groups such as the Asian Network for Free Elections (Anfrel ) despite her promise of openness. "The question is, will there be timely local observers to see what's going on," Tripathi told CNN. 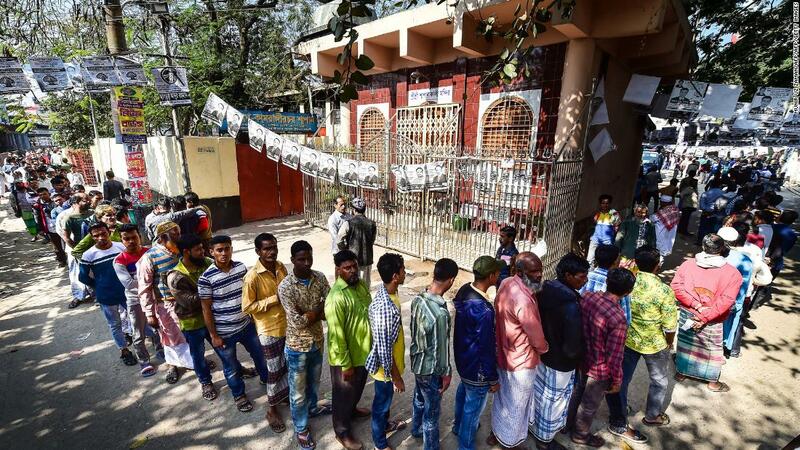 "They want free and fair elections, and Bangladesh misses this as an opportunity – if you do not allow the observers, how will you prove that?" In a report last week, Human Rights Watch said a "repressive political environment in Bangladesh undermines the credibility of the process." "Authoritarian action, including widespread surveillance and crackdown on freedom of expression, has contributed to a well-described climate of fear," the report added. The police had failed to act impartially and to ignore attacks on members of the opposition. Brad Adams, Asia director of HRW, said, "The police and electoral commission should not act like government expansion." "The violence during the campaign, which was mainly directed against the opposition, confirms its concerns about unfair treatment," he added. Much of the 2014 campaign was against the opposition party Bangladesh National Party (BNP) and the opposition coalition Jatiya Oikya Front (National United Front). Oppositionists are not the only ones who feel the pressure. Media and press freedom groups had complained before the vote on harassment and threats. In October, the government approved a controversial new law on digital security, feared by right-wing groups to further undermine press freedom and silence dissenters online. Amnesty International said it had imposed "dangerous restrictions on freedom of expression" and pointed out its potential for use against opposition voices. The Dhaka-based Odhikar group has highlighted a worrying flood of "forced disappearances" of opposition leaders, students, and activists. In September alone, the right-wing group claimed that 30 people were picked up by the law enforcement agencies without explanation – a sharp jump of 28 in the first eight months of the year. 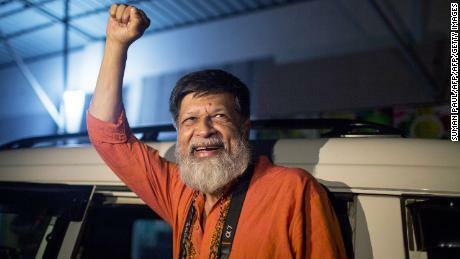 One of them arrested in 2018 was the prominent photojournalist Shahidul Alam, who had been imprisoned for several months following an interview with Al Jazeera, in which he had been accused of being a government member. He was held in power by "brute force". Alam was released in November after an international outcry. A joint statement by 25 human rights organizations, including the Committee on the Protection of Journalists and Amnesty International, called for Alam's "immediate and unconditional release" and prevented the allegations against him as a "blatant violation of his right to freedom of expression"
It is widely expected that Hasina will cross to a third term. Her biggest rival, BNP chief and former Prime Minister Khaleda Zia, 73, is currently in prison and is not allowed to run for corruption allegations. 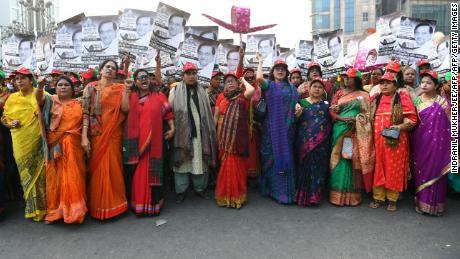 BNP supporters claim the charges against Zia are politically motivated. "I would be surprised if Hasina does not win, the opposition has a lot of problems in terms of candidates and intimidation, and she has the advantage of incubation," said Tripathi. But regardless of outcome He said the focus should be on Bangladeshi rights to free and fair polls: "Voters and candidates must feel reassured."